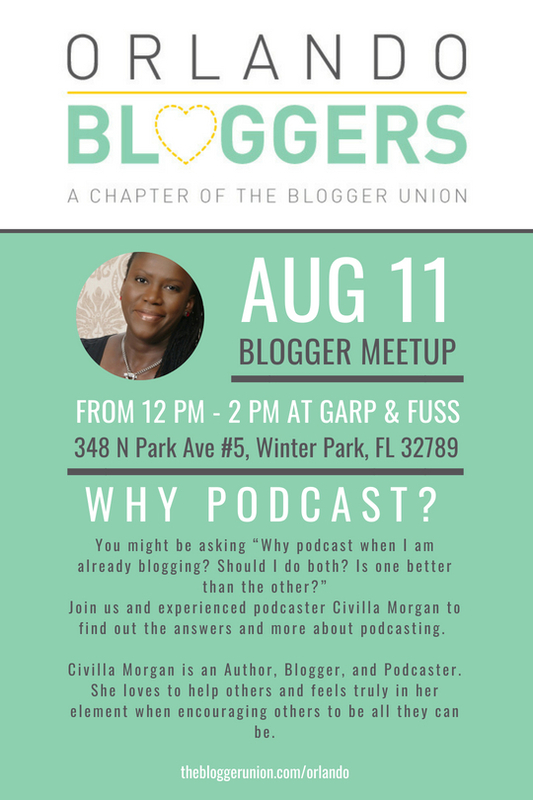 Join us and experienced podcaster Civilla Morgan for “Why Podcast?” to find out the answers and more about podcasting on Saturday, August 11th from 12-2 PM at Garp & Fuss. 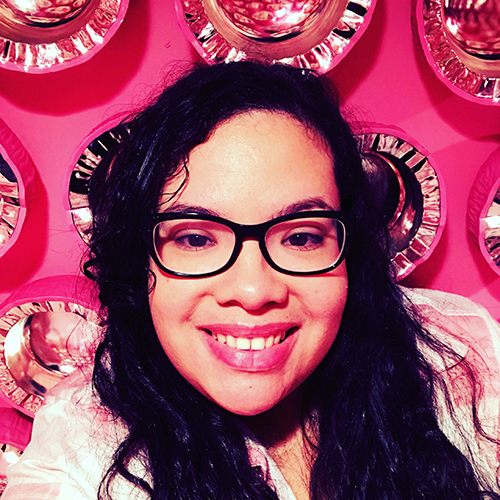 Civilla Morgan is an Author, Blogger, and Podcaster. She loves to help others and feels truly in her element when encouraging others to be all they can be. In Civilla’s previous life, she worked in healthcare, customer service, hospitality, and financial services. In fact, she was once a Stock Broker for several years. Civilla still loves the financial services industry and can talk for hours about the markets, and worldwide finance! 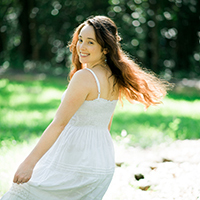 In her spare time, which hardly exists; she loves to read, go to the beach, and to travel. She also loves to spend time with family. Many thanks to Garp & Fuss for hosting our meetup in their cozy, upstairs lounge space! Garp & Fuss is a restaurant and bar located in the Hidden Garden along Winter Park’s famous Park Avenue.